If you are in need of a vehicle accident reconstruction expert near Naperville, our experienced team of mechanical engineers at Professional Analysis and Consulting offers a diverse approach to investigating physical and factual evidence in order to determine how and why a vehicle accident occurred. A vehicle accident reconstruction expert near Naperville will work with automobile, truck and bus manufacturers, suppliers, rail carriers, transit system and fleet operators, and insurers to investigate and reconstruct vehicle accidents and crashes. If for any reason you have any questions about a vehicle accident reconstruction expert near Naperville, feel free to give us a call at 630-466-4040 or fill out the form to the right and a representative will respond shortly. Several reliable techniques of investigation, interpretation and analysis are used by a vehicle accident reconstruction expert near Naperville including conservation of momentum, computer simulation, photogrammetry, as well as component or full scale crash testing. A vehicle accident reconstruction expert near Naperville will work to determine the impact speed and direction of the vehicles involved, the time and distance relationships between the vehicles prior to the accident, as well as the severity of impact to the vehicle occupants or pedestrians. 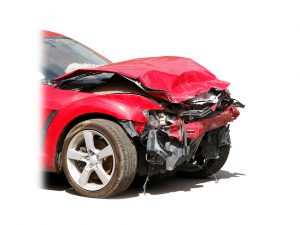 You can trust a vehicle accident reconstruction expert near Naperville will be able to tell the story of what happened in the crash, and if any possible laws or regulatory issues had been violated. Our vehicle accident reconstruction experts near Naperville want to help you see what really happened.